I was given the opportunity to try a new Pre-Workout Supplement called "Epic" from LG Science. 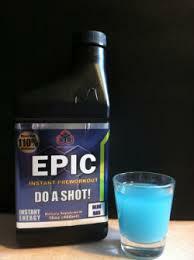 What makes Epic different than most other Pre-Workouts? The way it's delivered. 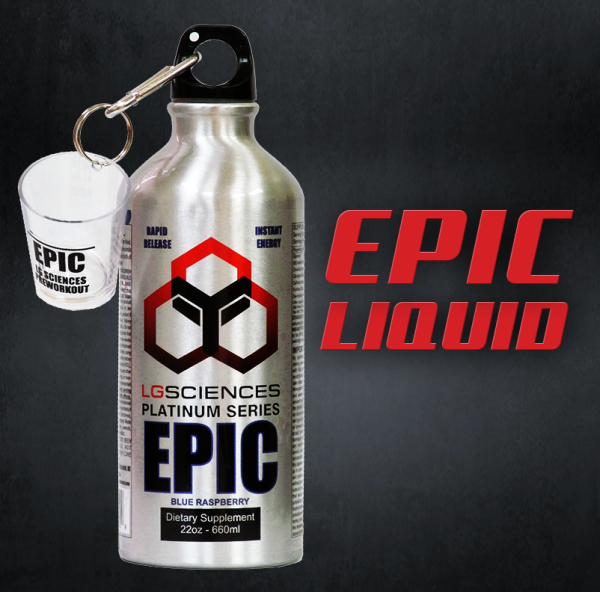 Epic is a Liquid that is mainly absorbed while swishing it around in your mouth for 60sec. LG Science calls this an Instant Pre-Workout and they are correct. After playing with the timing, I ended up dosing 5-10min before my workouts for the best results. Start off with at least a 1/2 dose. I made the mistake and took a full dose first time out during a heavy Deadlift day. About 1hr after my workout, I ended up with blurry vision and could feel a headache coming on. Feeling lasted about 30-45min. I did push it harder than normal and worked up to heavy singles. In the process I hit a new Personal Record of 460lbs. I took a few days off and tried it again on an easier day. This time I only took 1/2 a dose. Worked better this time. I had plenty of energy throughout my workout, but it wasn't a clean energy feeling. Don't get me wrong I was focused and didn't fall short of energy. I just felt anxious. After a few doses or so, that feeling went away. Which I have a decent tolerance to stimulants. I really didn't like this stuff for the first week or so, but I stuck with it. I kept changing the dosage and timing. After a week or so, I worked up to 3/4 dose (using a shot glass) and 10min before the gym. I never went above that dosage. I didn't need to. I had plenty of energy and that anxious feeling went away. 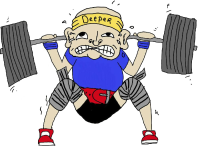 Over the next couple of weeks I got 4 new Personal Record's for my Deadlifts and 2 for my Squats. I took my Deadlifts from 450 to 500 while trying Epic. My Squats went from 375 to 390. I increased my Total 65lbs in about 4 weeks. I hate to say it, but that's EPIC. Let's take a closer look at some of the ingredients that are interesting. Glycerol is a sugar alcohol. Glycerol has claims to increase blood volume and improve exercise performance. It also has an incredible ability to bind with water and hydrate better than water. Hyper hydration before exercising can reduce, or eliminate the side effects of dehydration. 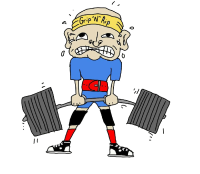 You might notice you will become more vascular while using Glycerol. That?s because its ability to pull so much water. It?s pulling water from under the skin into the blood stream and muscles. DiCreatine malate is a bond of creatine and malic acid which is more readily absorbed by the body better than any other form of creatine. Both elements separately deliver energy to the muscles, and this effect is enhanced when they are combined, resulting in a strong, quick energy burst to the muscles. DiCreatine malate can?t be found in nature and is made in a lab. Better yet DiCreatine has been shown to extend endurance levels, because it delays lactic acid build-up in the muscles. It is also digested by the body better than other Sources of creatine. This results in no bloating. Beta-alanine is the new Creatine. Unless you have been living under a rock. 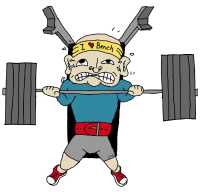 You have already read or heard a little something of Beta alanine. BA is a non-essential amino acid. BA combined with Creatine has been proven to increase endurance and performance. Athletes have been shown to train harder and longer before fatigue set in. All while reducing body fat. So over all I'm very impressed with LG Science's new EPIC Pre-Workout. I would recommend it to anyone looking to get the most from their workouts. My Rating is 8 out of 10. Giving it an 8 for that fact I know it can be a little better. A little less Bitter Orange and more Beta-alanine would make it perfect in my eyes. As it sits right now and after trying everything from Jack3d, Yok3d, Neurocore, Superpump, No-Xplode and many others. Even with the lower dose of BA I'd like to see. 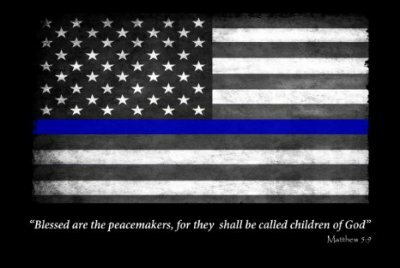 Believe this or not. EPIC reminds me of how I felt with taking the Old Ultimate Orange back in the 90's. Even though I believe they don't share any ingredients. EPIC is my go to Pre-Workout Supplement right now, but I'm always looking for that new supplement to help make be bigger and better.